At my day job I am using a Windows 8.1 laptop. So far I actually like Windows 8.1 after taking a little while to get used to it. One thing that Microsoft still hasn't improved on though is their stupid Fax and Scan program. It is still limited to scanning to TIFF images and still can't do PDFs! Sure, I can probably install the HP software for my home printer, but the problem I have with it is that although it does scan to PDF, it sometimes doesn't like to work when UAT is disabled. Yes, I have UAT disabled because it's annoying! One thing I did notice with NAPS2 though is that by default it has it's DPI setting at 100 which makes your scanned document look really poor. You can easily change the DPI to something better, like 300 DPI and make the image quality a lot better. If you don't need a PDF and just want an image, NAPS can do that too. Instead of clicking the Save PDF button after your scan, select Save Image instead. Simple! Do you use NAPS to scan your documents? If not, what do you use? Let us know in the comments! Mobile connectivity and its accompanying technologies are arguably the new steel. There was a time when steel was a costly luxury, and now it is found in almost every kind of commercial structure. It has been accepted into the mainstream. Wireless communication and data connectivity are currently going through this cycle as technologies like Wi-Fi and 3G/4G now part our daily lives. Wireless subscribers have outnumbered analog users since 2000, and collectively, we use 3.6 zettabytes of data per day! Ever travel for business? Then you know the dilemma. You're in need of an Internet connection to get some work done, and your only option is to pay the $15 to the hotel you're staying in for the limited-time access. There are thousands of scenarios like this where a reliable connection to the Internet has real value. Fortunately, creating a hotspot is becoming increasingly accessible to the general consumer. This is something that even five years ago was a luxury. Since iPhone introduced the ability to tether, it has become easier to get the connectivity you need. Let's take a quick look at three different methods for creating a mobile hotspot. With the proliferation of the smartphone, along with 3G and 4G data carriers, the general consumer carries a fairly reliable, pocket-sized up-link everywhere. Tethering to a smartphone is fairly cheap, ranging from $20-70 a month. Benefits include not having to carry an extra device around. There are work-arounds to paying your data carrier, but taking this route may also mean throttling by your service provider. This method is great for some people, but if you're the type who wants to watch hours of Netflix, or upload/download heavy files, this is not the best solution. Another drawback is that you can't surf the Internet and use the voice portion of your service. If this is not a deal-breaker for you, then tethering to a smartphone could be just what you're looking for. You've tried tethering to your smartphone, but it wasn't fast or reliable enough for your taste or your work load. Although you liked not having to carry another device around with you, you're ready for an upgrade. You probably want to give some thought to a dedicated mobile hotspot device. These devices, and their respective plans, range anywhere from free to hundreds of dollars. Here's a list of the best devices by carrier. Benefits? You can talk and surf the Internet simultaneously. On a car ride across the country with a few friends? Everyone can use your hotspot to connect anywhere there's a 3G/4G data connection. You'll be everyone's hero, and as long as you keep your data limits in mind, you won't be a Hulk when your bill comes due. Wait, superheroes don't pay bills, do they? If you want to be on the cutting edge of Wi-Fi and mobile technology, you'll want to learn a thing or two about satellite Wi-Fi. This is borderline spy stuff and and an exciting area of emerging tech. Where your standard dedicated mobile hotspot fails you (like when you're out of cell service range) you may want to consider a satellite hotspot. There's only one currently on the market — the Iridium GO — and its promise to bring Wi-Fi everywhere has us techies and spy hobbyists in a blissful state of hysteria. Because you're connecting to a satellite, you don't have to worry about the service areas on the map. Satellite phones have been around for almost two decades, so this technology isn't going anywhere, and is indisputably the most reliable of the three options. 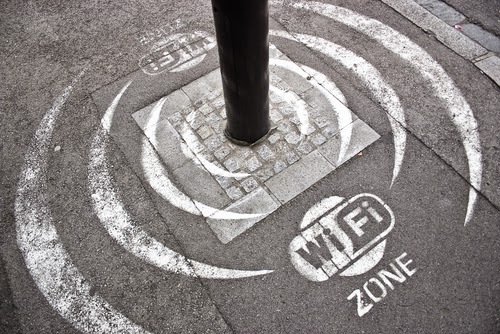 If you're concerned about staying connected during an outage, the satellite hotspot is definitely for you. The only drawback right now is the price. But that's expected with new technology. As time passes and adoption increases, the price will inevitably drop, making it more accessible to more people.